My first pregnancy lasted 41 weeks and was relaxed, easy and stress free. I only found out I was pregnant when I was already 9 weeks, so it seemed to fly by. I gained 13Kg’s in total, I had no problems with mood swings, sugar levels, blood pressure, swelling, migraines or any other horrible pregnancy symptoms. I did have a little bit of morning sickness, but it lasted about 30 min every morning for about 4 weeks. Logan grew nicely and 6 days after my original due date (12 September), Logan was born by emergency caesarean. It was at about 21h00 on the 17th of September, after a dinner at my parents’ house that my water decided to break. To be quite honest, both Marc and I were a bit rattled and after a slightly frantic phone call to my Dad for advice, we rushed off to Kingsbury Life Hospital in Claremont. I was admitted into the Maternity ward and the nurses immediately put the sensors on to monitor Logan’s heart beat and any contractions. I wasn’t experiencing any contractions and the only pain felt like really bad menstrual cramps. The pain wasn’t bad at all, but because it appeared to be taking a while, I was given an injection to help me sleep. The morning of the 18th I was woken up at 06h00 for an internal check-up and it was decided that because Logan’s head wouldn’t drop they were going to book me in for an emergency caesarean. Everything after that went by quickly and smoothly, the anaesthetist administered a lumber punch and I went pleasantly numb from my belly button down. It was the weirdest feeling ever because I could feel myself being moved around, yet I couldn’t actually feel anything. Marc was a bit freaked out by the whole operation part and he did not want to look at all, but the paediatrician forced him to. I don’t think Marc will ever forgive him for that, poor guy. 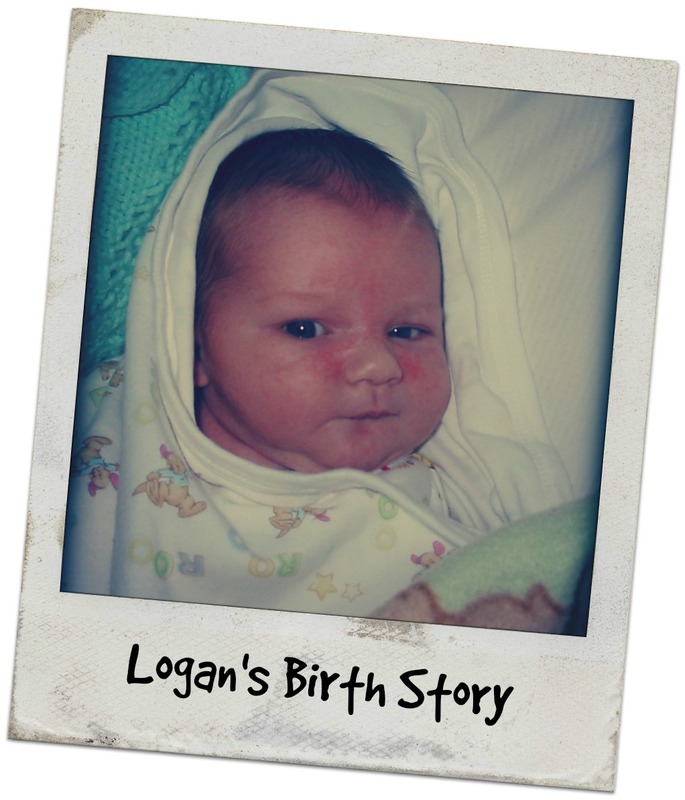 Logan was born at 09h58 on the 18th of September (Weight – 4.48Kg, Length – 55cm) after the slight complication of his head not dropping. Even though it was an emergency caesarean, it all went very well. The anaesthetist did a very good job, in fact I think he might have done too good a job as I only managed to get feeling back the Friday morning. The cut area was incredibly painful and I walked around like a bent old woman for the next 2 days before I could actually stand up straight without being in pain. That was the worst part of the whole experience and I thank goodness for voltaren suppositories!